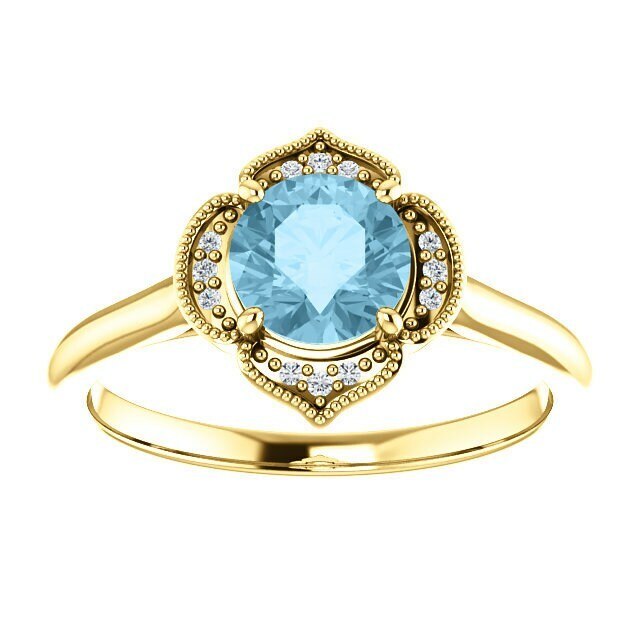 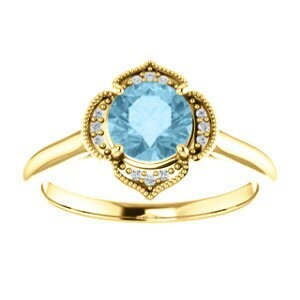 ~ Exquisite vintage style halo engagement ring feature a 6mm round Aquamarine gemstone and genuine conflict free diamonds. 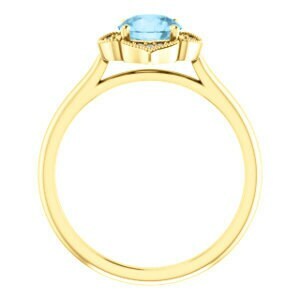 *More sizes, please inquire additional fees may apply. 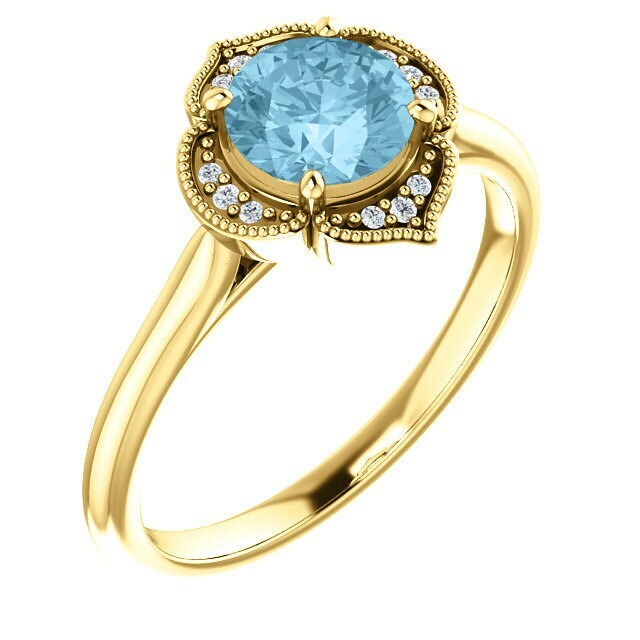 This design is made to order.